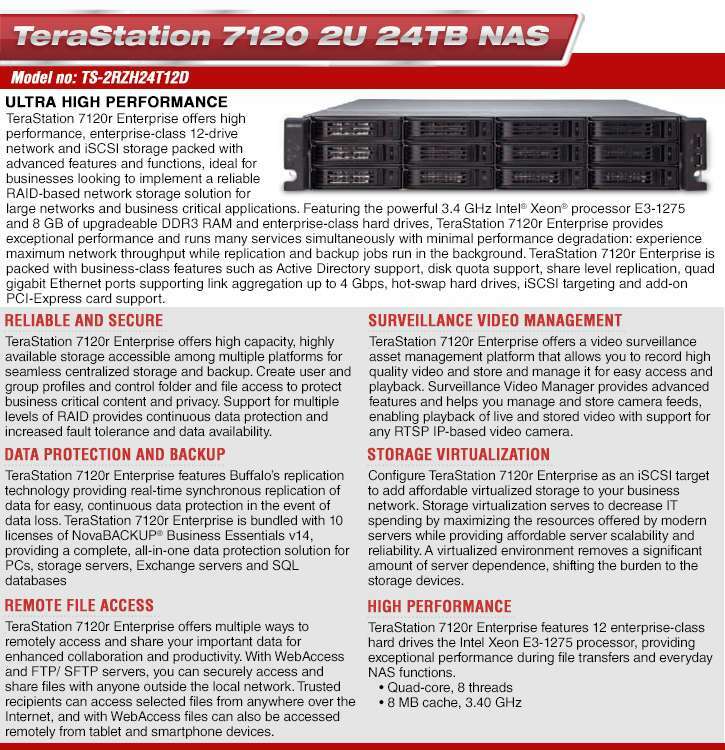 The BUFFALO TeraStation NAS is the ideal storage solution for high-performance networks. 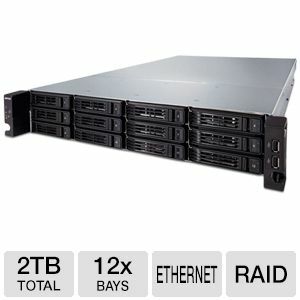 This rack mountable NAS is equipped with the powerful Intel� Xeon� E3-1275�3.4GHz processor to provide exceptional performance for your everyday NAS functions. Its 8GB DDR3 memory offers high-speed data transmissions, allowing you to run several applications with minimal performance degradation. It also comes with 12 hard drive bays which enable you to install several hard drives and secure up to 24TB of multimedia files. This NAS also protects connected PCs. Avail of this ultra-reliable storage solution today!